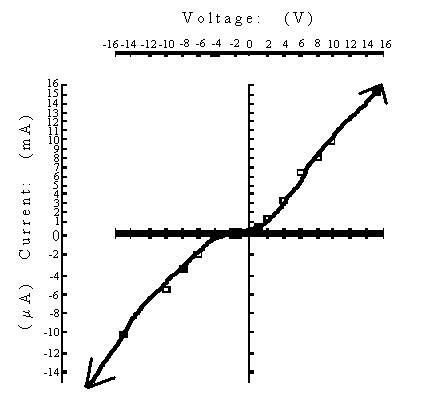 The objective of this lab is to study the voltage characteristics of a diode to draw it's diode curve. 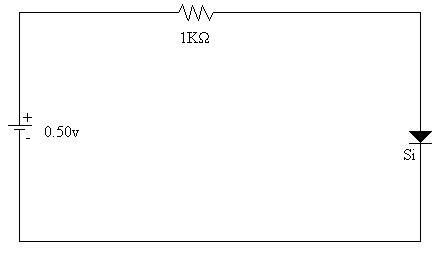 A:	The bulk resistance is:18.5KW. 3)	Q:	Why do the values of forward resistance and reverse resistance change as the diode's applied voltage change? A:	During forward biased, the diode has a constant voltage drop so it appears to be a variable resistance. During reversed bias, the diode has enough resistance as to let a nearly constant voltage through until it hits breakdown voltage. 4)	Q:	What approximations were used in this experiment and why? A:	The primary approximation made was that the resistor values were exact. Also, that the multimeters were accurate and did not influence the circuit's operation. 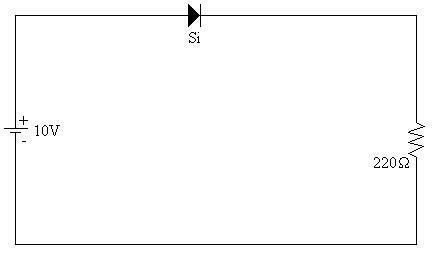 From the data collected, ample information is given to draw a diode curve. The objective was therefore accomplished.